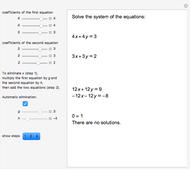 with the opposite coefficient method. 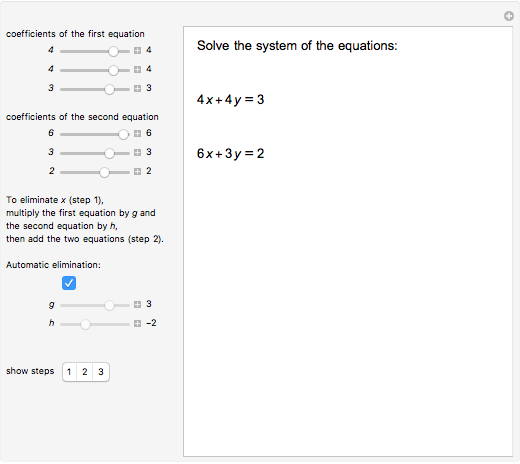 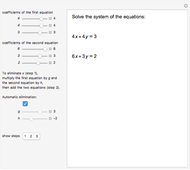 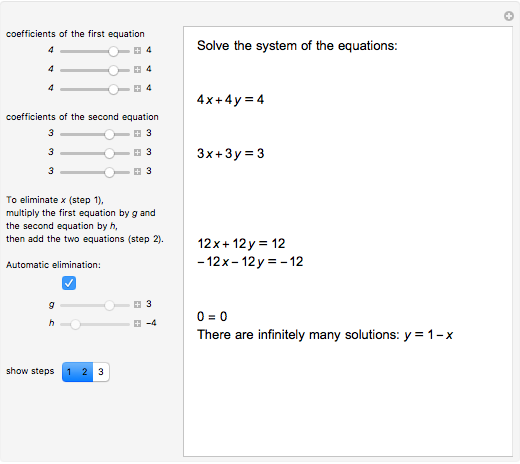 Step 2: add equations and solve a new equation for . 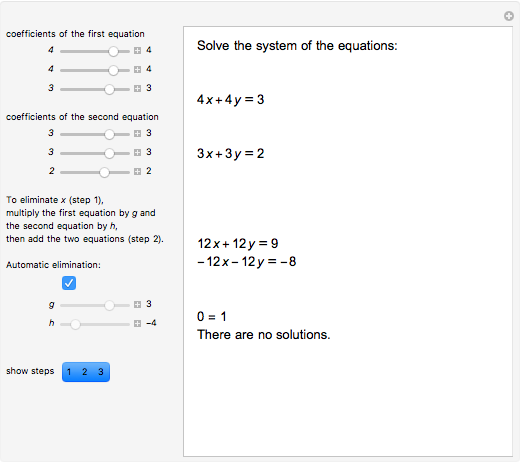 Step 3: substitute the solution for into the first given equation, and solve the new equation for . 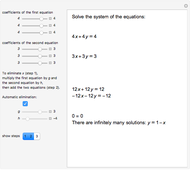 Izidor Hafner "Opposite Coefficients Method for Solving Two Equations in Two Unknowns"